California Linen Services provides quality napkins, table cloths, apparel and other textile items throughout Orange County. 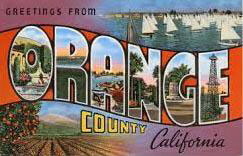 We proudly deliver “Quality Service … Every Time” to the following OC cities: Anaheim, Brea, Buena Park, Costa Mesa, Cypress, Fountain Valley, Fullerton, Garden Grove, Huntington Beach, Irvine (parts), La Habra, La Palma, Los Alamitos, Newport Beach, North Tustin, Orange, Placentia, Santa Ana, Seal Beach, Stanton, Tustin, Villa Park, Westminster, and Yorba Linda. Why choose CLS for linen service in Orange County?